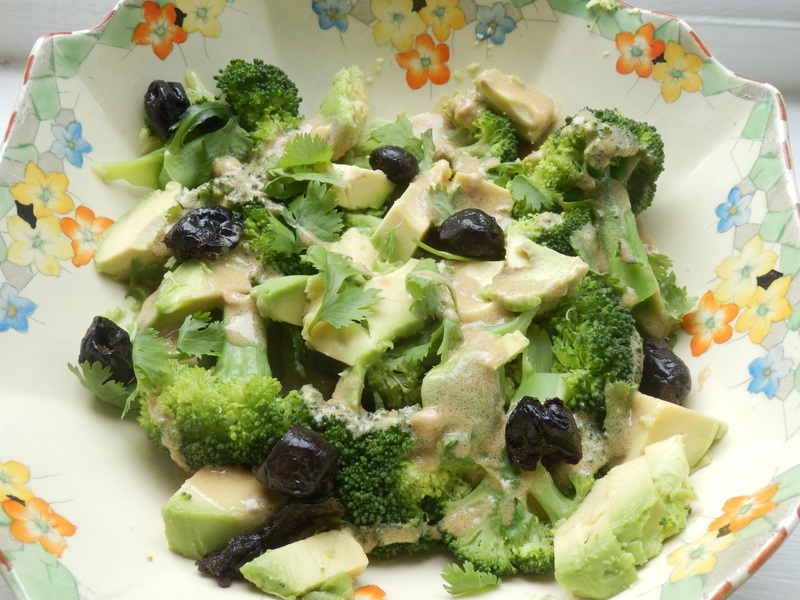 Marriage of a lovely dish and a great recipe ! 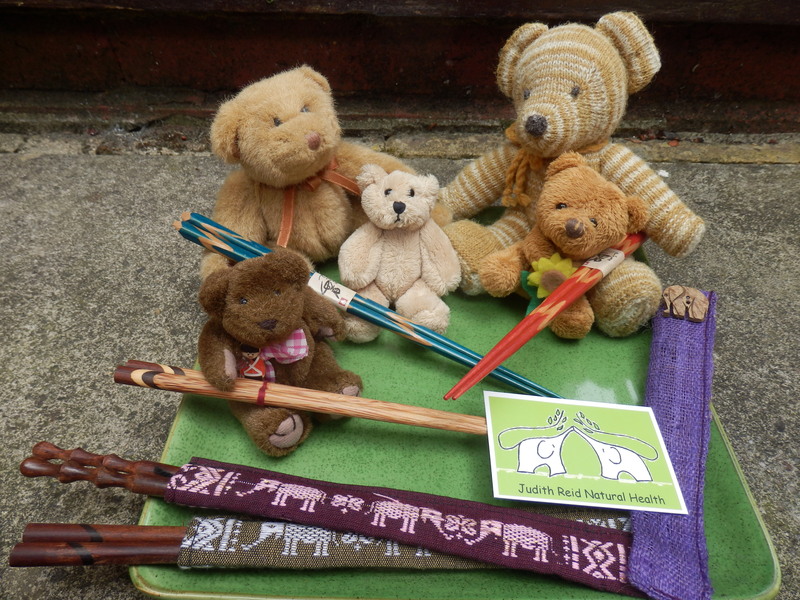 The bears get some chopstick practice in ready for the sticky rice and mango. No chopstick expertise needed; spoons provided. Shhh!! 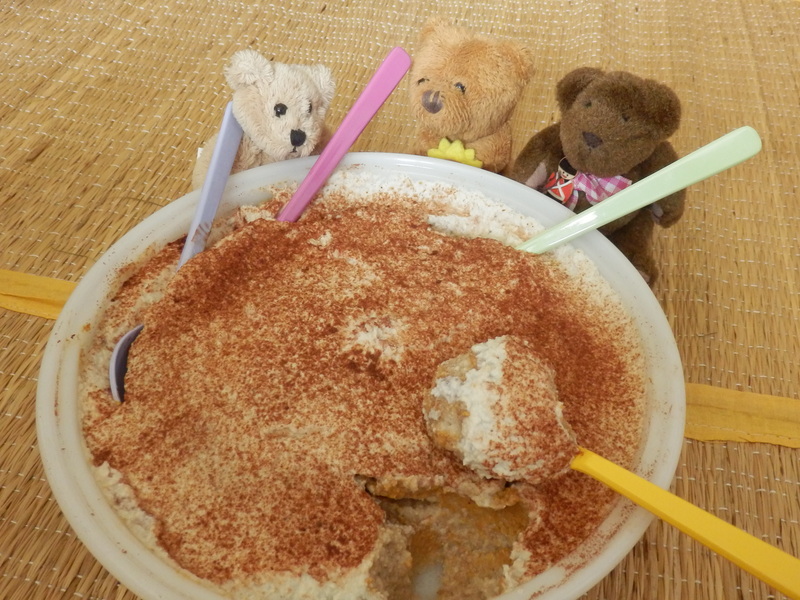 Don’t tell the bears !!! 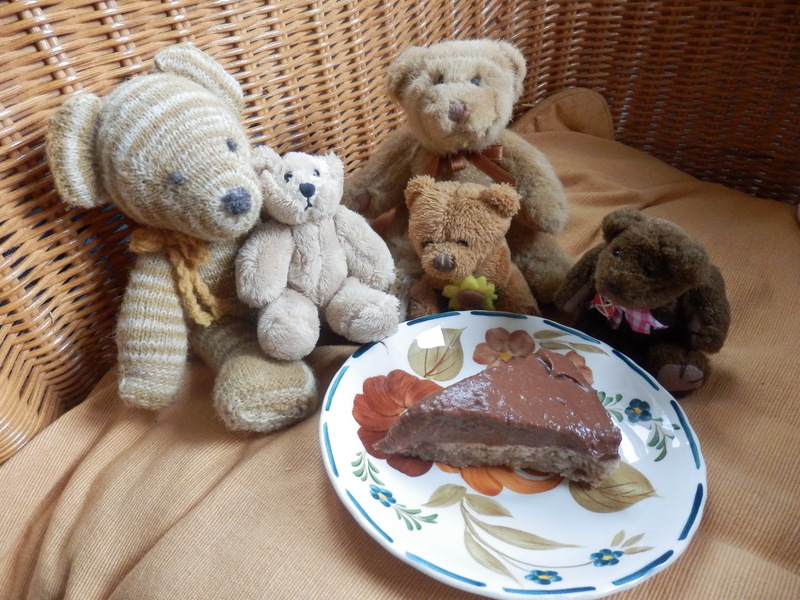 The bears ponder who has eaten the raspberries off the raw Chocolate and Raspberry Tart. Not to worry – there will be a new one in just under a week’s time………..
A tasty and fun 2 hours with a recipe handout for you to take home.